Happy Sunday and I hope everyone's weekend is going well! 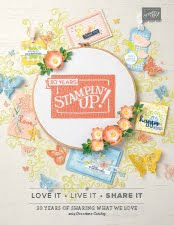 I' getting super excited because next weekend is the Stampin'Up Onstage Convention. I will be seeing old friends and meeting new ones!! 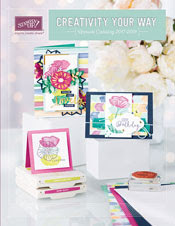 Can't wait to get a peek at the New Annual catalog coming in June. I may go live on Facebook Saturday, so keep a eye out for maybe some sneak peeks!! Today was a requested box for a follower, a macaron box, however, this box can be used for so much more. It also will fit ghirardelli squares, which would be cute as well in it! Of course, I love the window in this box. I haven't done a window box in a while, so it was definitely fun to do one. DOWNLOAD MACARON COOKIE BOX PROJECT SHEET HERE! Thank you all my sweet friends for visiting today! REMEMBER TO CHECK OUT MY NEW REWARDS PROGRAM IF YOU ARE A REGULAR CUSTOMER OF MINE AND EVEN IF YOUR NOT, I WOULD LOVE TO SERVE YOU! Hi Angie, Where did you get the plastic storage folders that you used for the 12 x 12 card stock. I think they would be handy for dsp too. Thanks! !